Convault Australia was formed in 1998 as a joint venture between Miller Bros Industries of Ballarat and Convault of Denair California, in the United States. Today Convault Australia is the leading manufacture of above ground fuel storage tanks, is 100 percent Australian owned and operated and has a distribution network that spans Australia, New Zealand, Papua New Guinea and parts of Asia. 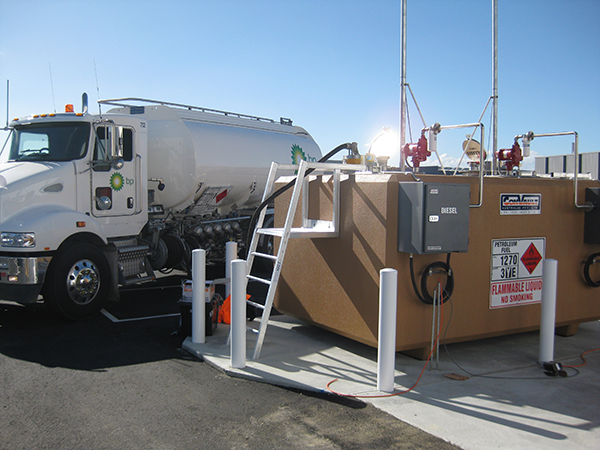 The thought of storing fuel above ground has something that Convault has perfected over the years offering the safest method of storage when we consider all of the factors that must be considered when fitting or replacing a fuel storage device. In 1998 when Convault Australia was founded, a number of important studies regarding the safety and environmental impact that underground fuel storage devices were likely to have in the coming years. Evidence showed quite clearly that the corrosive elements both in and outside the tanks had taken their toll, allowing their toxic contents to leach into the soil and underground water ways causing wide spread damage, not to mention the clean-up bill associated with fixing the problem.